I have been editing Selections, the Beirut-based, Middle East-distributed quarterly culture & style magazine, for precisely one year, but only felt like I could really produce something I was truly happy with this last issue, because the magazine was due a redesign. The new incarnation is cleaner and clearer - graphically both minimal and classic - and the issue, which takes Design as its theme, is genuinely packed full of strong stories and inspiring imagery. We open with Zaha Hadid in conversation with architectural critic Hilary French, before chatting with the conductor of the Lebanese Philharmonic Harout Fazlian about his unusual line of work. Next comes my review of Richard Serra's epic new installation East-West, West-East, in the Qatari desert, followed by Sheyma Buali's thoughts on Thomas Heatherwick's new plan for an Al Fayah Park in Abu Dhabi; a studio visit with the recently knighted (in France) fashion designer Rabih Kayrouz; Justin McGuirk's thoughts on this year's Salone del Mobile; my interview with Rana Salam; John Ovans' look at the interior design materials of Fameed Khalique, and at Karl Lagerfeld's Constructivist moment; a profile of Beirut Design Week; my thoughts on Design Thinking with Cyrille Najjar, Marc Dibeh, Marc Baroud and Niko Koronis; Rajesh Punj's interview with leading Portuguese artist Joana Vasconcelos; an interview with Jonas Dahlberg about his Norwegian memorial installation; Merlin Fulcher's comments on the ICA's discussion of failed colonial modernism; and our personal interview with Olivia Putman, who talks about the experience of succeeding her mother Andrée as head of Studio Putman, and shares her favourite artworks with us in the Curated By pages at the back. 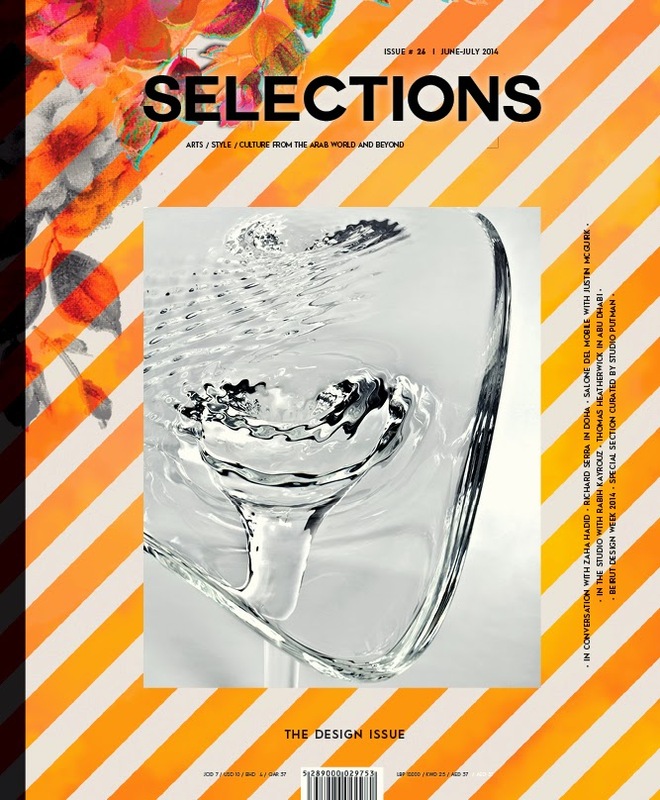 Meanwhile, the peppy little Art Paper, which is more relaxed in format but serious about visual art and its producers, collectors, curators and gallerists, is going from strength to strength, expanding every issue and featuring an ever-growing list of interviews with important voices in the regional art scene. 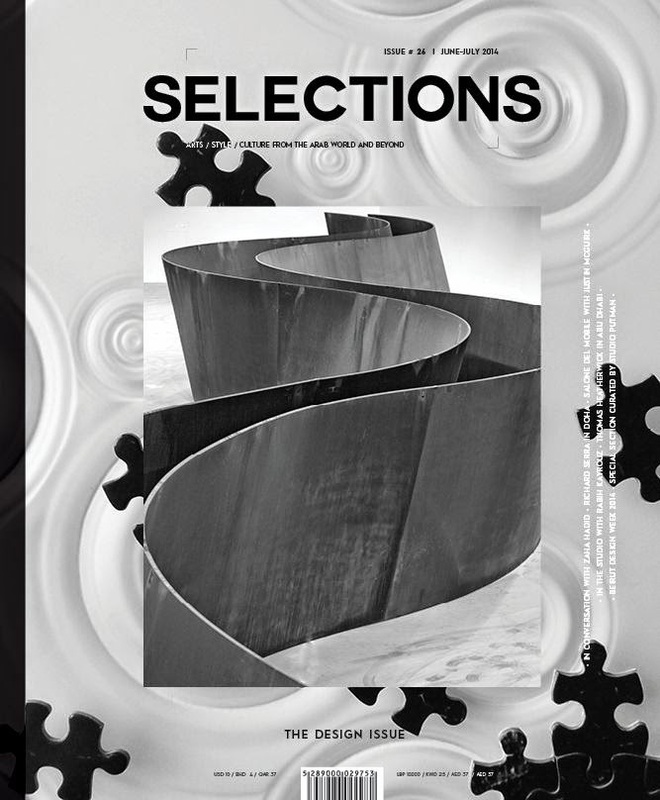 Selections and the Art Paper are published with Rima Nasser as editor-in-chief at CNP, Beirut.